Item # 310420 Stash Points: 2,097 (?) This is the number of points you get in The Zumiez Stash for purchasing this item. Stash points are redeemable for exclusive rewards only available to Zumiez Stash members. To redeem your points check out the rewards catalog on thestash.zumiez.com. Clearance items may be customer returns, discontinued inventory, not include original packaging or not be in its originally manufactured condition including being shop worn or have minor blemishes, stains, or small holes. In some instances, these items are repackaged by Zumiez. In all instances, all sales are final on clearance items and are not eligible for return or exchange. 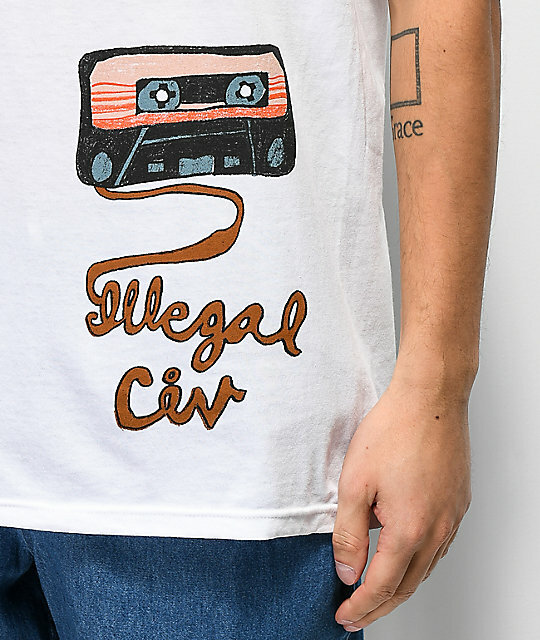 Illegal Civilization helps keep your look lighthearted and fun with their Casette White T-Shirt. This cotton constructed garment features a large cassette graphic on the bottom front left that incorporates the brand's signature cursive logo script as unraveling audio tape below the image. 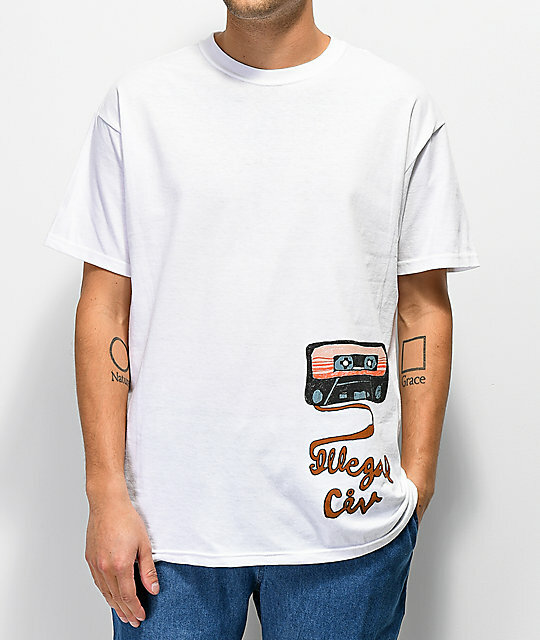 Cassette White T-Shirt from Illegal Civilization. Screen printed logo graphic on bottom front left. Tagless collar lining for comfort. 32.5" (83cm) from top shoulder seam to bottom hem.